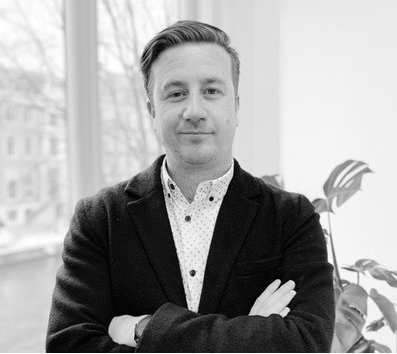 Heineken - "Share The Drama - The Test"
Amsterdam-based Ideas Company, WE ARE Pi, continues to bolster its pirate talent roster with the recruitment of former RG/A New York Executive Strategy Director, Mark Lester, to the agency’s Director of Strategy role. Mark will work directly with Founder and CEO Alex Bennett Grant to connect the dots across Pi's strategy product. From the agency's legacy in brand innovation and ideas, through to the brand experience and entertainment platforms the agency has become famous for in recent years. Mark is a seasoned strategic leader whose career has spanned brand, digital and media agencies. He’s helped to produce multiple Effie and Cannes award-winning campaigns and has worked with some of the world’s biggest brands and marketers, including most recently Samsung and Diageo. Originally from the UK, Mark spent a decade in New York advertising. Mark joins the Pi team from R\GA New York where he was an Executive Strategy Director, leading the largest strategy team in an agency at the forefront of modern brand communications, design and experiences. Throughout his career, in both London and New York, Mark been engaged in initiatives to deal with bullying, an issue that continues to rise in importance.